CALGARY – Royal Dutch Shell Plc’s second-quarter earnings day this Thursday is eliciting excitement and interest from liquefied natural gas traders, analysts and domestic producers, who are watching for signals from the British-Dutch super major on plans for its $40-billion LNG Canada project on the West Coast. Oil and gas investors should mark July 26 on their calendars “as a potentially pivotal date in the evolution of the Canadian natural gas market,” Martin King, GMP FirstEnergy director of institutional research, said in a research note this week. “There is no guarantee that (Shell) will make this announcement on this date, but the hints coming from the project consortium in 2018, along with developments last week hinting at an important announcement this week, all seem to suggest that the (Shell) earnings release might be the platform for the project’s sanctioning,” King said. A series of events in recent weeks have led analysts to anticipate that Shell, along with joint-venture partners Petroliam Nasional Berhad (Petronas), PetroChina Company Ltd., Korea Gas Corporation and Mitsubishi Corp., will make a decision on a project that would greatly help beleaguered domestic gas producers. Last week, oilfield services company Black Diamond Group Ltd. announced it had been awarded contracts to build a workforce camp for the pipeline that would feed natural gas to the LNG project. LNG Canada also launched a Twitter account last week. 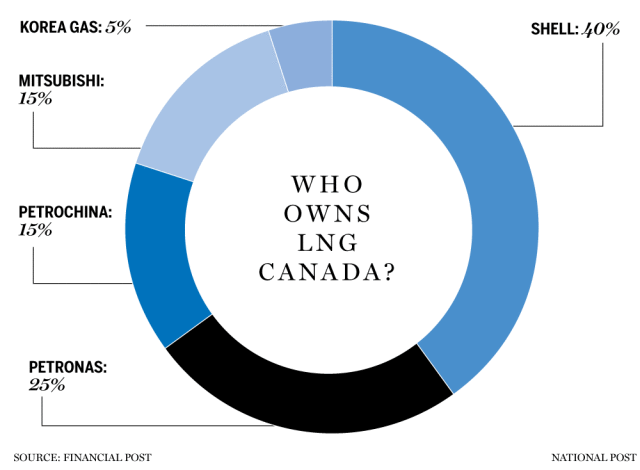 As of Thursday, it contains no news of a project announcement but hundreds of followers as interest in LNG Canada intensifies – especially following the cancellations of Petronas’ Pacific NorthWest LNG and CNOOC Ltd.’s Aurora LNG last year. There are more positive signs in the coming days, leading to yet more speculation. Shell’s global upstream director Andrew Brown is scheduled to be in Kitimat on Friday for a road show following the company’s earnings release, LNG Canada director of external relations Susannah Pierce said in an email. “It sounds like they’re bringing out the big guns,” GMP FirstEnergy’s King said by phone. And next week, Shell has engaged investment bankers at Royal Bank of Canada to do marketing in Toronto on Aug. 1 and Aug. 2, Raymond James analyst Jeremy McCrea said. “There’s no reason why Shell Canada would go marketing,” McCrea said, adding that such events in Toronto are more common for smaller Canadian producers – not global super majors. RBC did not respond to a request for comment. “I’m looking for clues here as well,” he said, adding that the entire investment community is trying to forecast what will happen Thursday after a series of hints in recent weeks and months. Earlier this year, Shell changed the title of its top executive in Canada, Michael Crothers, from executive vice-president, oilsands to vice-president, Canada integrated gas. Shell sold its oilsands assets to Canadian Natural Resources Ltd. last year. The LNG project would, for the first time, allow Canada to export its bountiful natural gas production to countries other than the U.S., GMP FirstEnergy’s King said. The development would allow for the export of 1.8 billion cubic feet of natural gas per day from Canada beginning when the first phase of the project is complete in 2023. 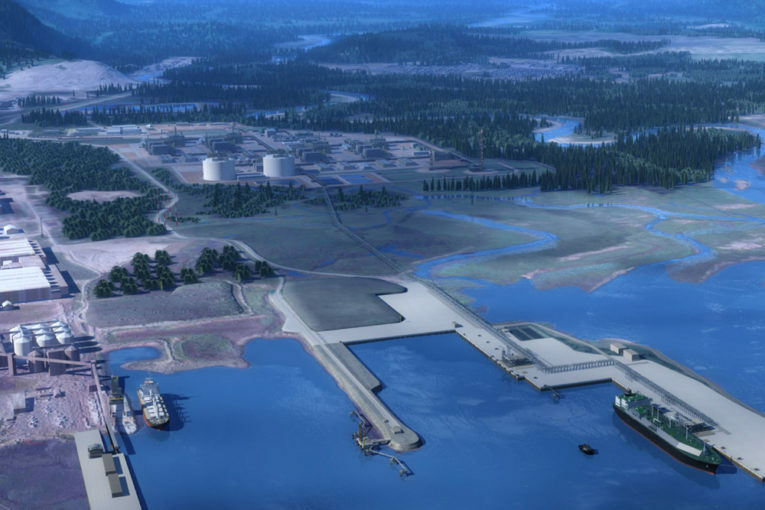 The LNG exports would account for just over 10 per cent of current natural gas production in Western Canada.